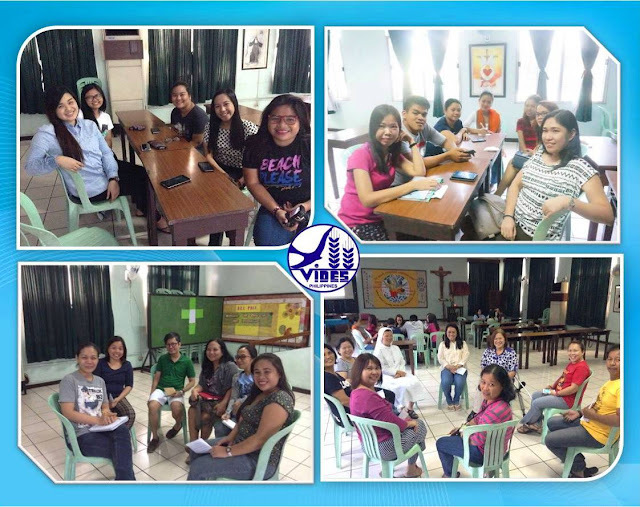 Thirty-two volunteers spent two meaningful days at a peaceful oasis located in the bustling city of Quezon City last March 19-20, 2016. The Sta. Rafaela Maria House of Spirituality, which is being run by the Handmaids of the Sacred Heart of Jesus, provided the ideal venue for holding VIDES Pinoy's annual lenten retreat. 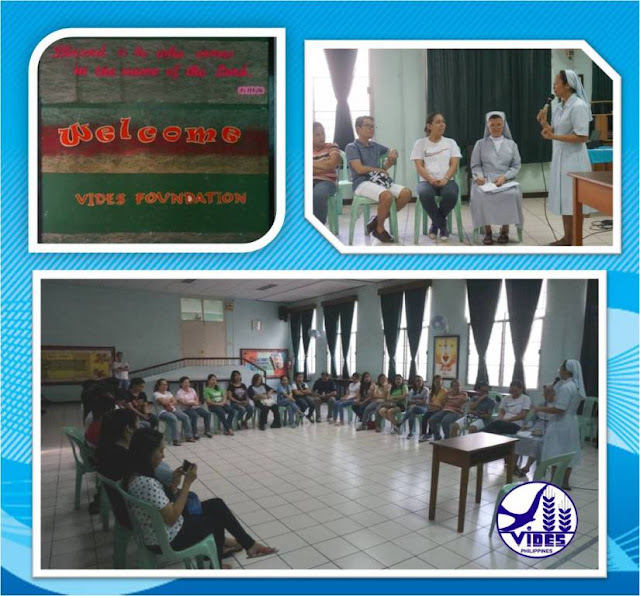 After being warmly welcomed by the community and listening to a brief orientation given by Sr. Sharon, the volunteers were asked by VIDES Delegate Sr. Jojo Carrasco FMA, to take a moment of silence and to prepare themselves for the ensuing sessions. Rev. Fr. 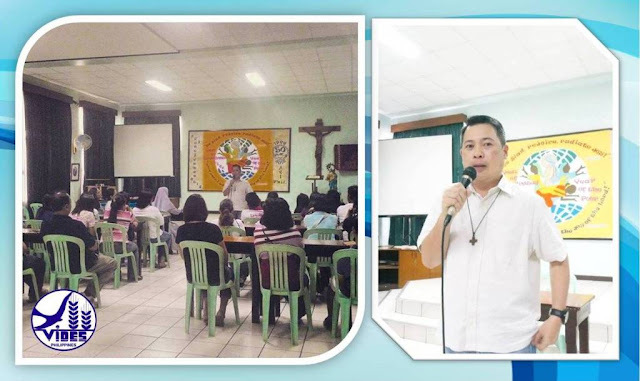 Benhur Borja, SDB, this year's lenten retreat master, introduced his talk on the "Mercy of God" by sharing the story of King David, the awful sins committed by the great king, and the sinner's eventual repentance. Fr. Ben asked the retreatants to reflect on why God forgave David despite the latter's grave sins. He asked them how could God possibly forgive and accept people who have committed heinous and unspeakable crimes, especially against the innocent and the vulnerable. 1. The Lord's mercy is a mystery. We surely cannot understand how, despite the severity of the sins His people have committed, God can still show mercy and compassion. 2. The Lord's mercy is an experience. God welcomes sinners with open arms. Instead of feeling shame, we feel His unconditional acceptance. Enveloped by His great love, we feel light, peaceful, and happy. Receiving His grace and mercy is an extraordinary experience. 3. The Lord's mercy is about remembering. A positive experience is worth remembering. 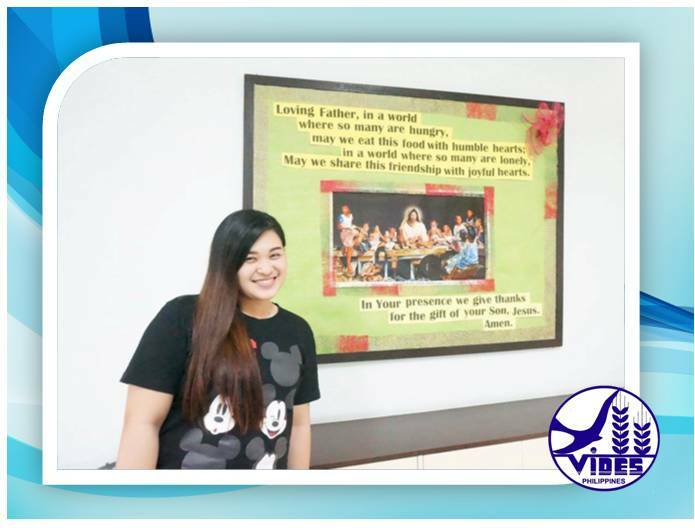 Because God's forgiveness is an indescribably pleasant experience, we would always want to relive and remember it. 4. The Lord's mercy is transformation. Being blessed by God's mercy and compassionate heart, we experience a positive change in our lives. Our hearts are transformed. We also become more forgiving and more accepting. 5. Mercy is the yardstick of our relationship with God. The strength of our relationship with God is measured by our capacity to accept His mercy, and to forgive and be merciful like Him. Fr Ben explained that for humans, forgiveness is a process. 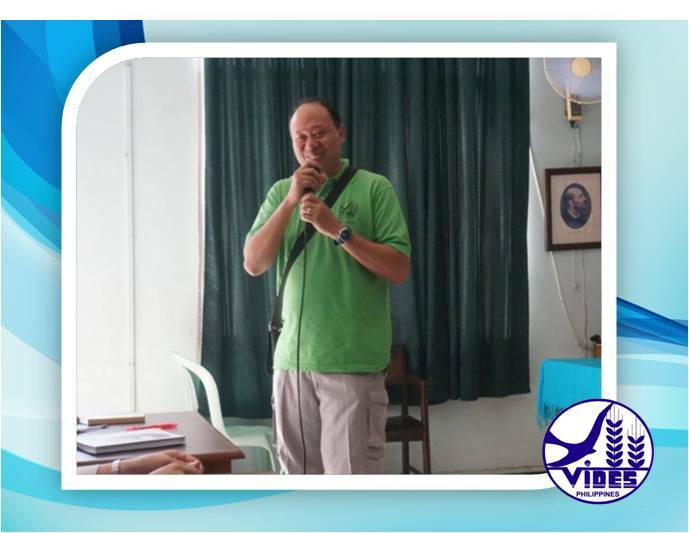 He shared how a person can tell if he or she is finally ready to forgive the people who caused him or her pain. First, you are already asking and praying for the strength to forgive people who hurt you. Second, you no longer wish the person who offended you any harm. A discussion on anger and the importance of learning how to manage it was also made. Volunteers were asked to examine where their anger is coming from and to process and resolve the issues so they can make peace with themselves and the people who caused or continue to cause them pain. 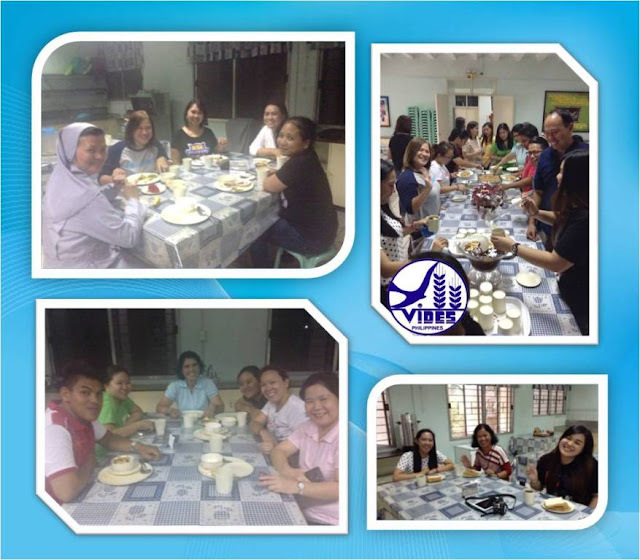 Also underscored during the sessions was the importance of having a grateful heart. Fr Ben recalled the story of the ten lepers whom Jesus healed, emphasizing that only one of the ten lepers returned to Jesus to express gratitude. He discussed the importance of gratitude in our daily lives. 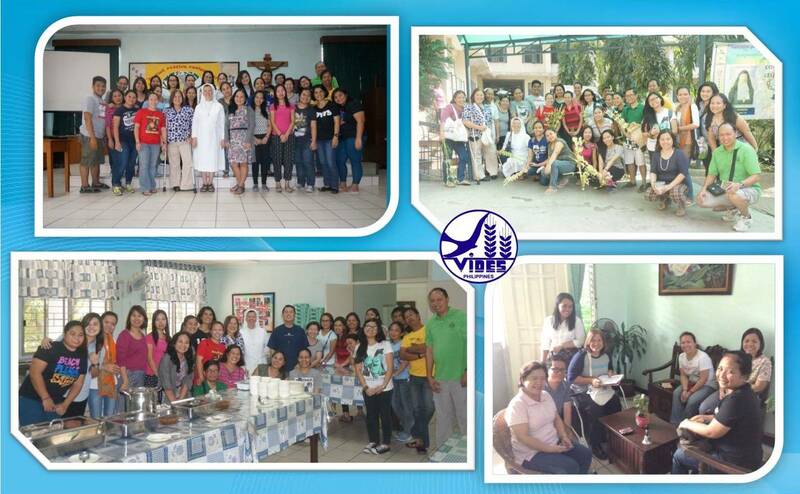 He asked the retreatants to always remember that a grateful heart is a happy heart. As a confession session was scheduled in the afternoon, Fr. Ben urged the volunteers to be totally honest in confessing their sins. He related the story of Don Bosco's dream about the little devils pulling the strings they tied around the neck of boys queuing for confession. Fr Ben reminded that when tempting us to sin, the devil removes all shame from us. But when we would want to confess our sins, the devil puts back the shame in our hearts. Thus, making us reluctant to confess all our sins, fearing that the priest will judge us. He therefore urged the volunteers not to hold back when confessing their sins. The sacrament of reconciliation, he said, provides us the opportunity to experience God's unconditional mercy and compassion. Hence, we should not be ashamed to confess all our sins. After the sessions with Fr Ben, the volunteers were given the chance to prepare for confession by examining their conscience. They then poured their hearts during the confession session administered by two priests who hailed from Vietnam and Indonesia. They received absolution and did their assigned penance. After dinner, the retreatants were made to watch the movie "The Passion of the Christ" to remind them of the ultimate sacrifice made by the Son of God. 1. What are the low points or sad moments during your infancy, childhood, teenage years, and adult life? 2. What are high points or happy moments during your infancy, childhood, teenage years, and adult life? Where is your anger coming from? What makes you angry? What makes you happy? What pleases you most? What makes it hard for you to forgive? What inspires you? What/who can motivate you to change? Whom do you love? Why? What is most important for you? Why? How well do you know Jesus? Who is He in your life? How close are you to Him? Is He close enough to make you change? Is He close enough for you to follow His commandment to "Love one another as you love yourself"? 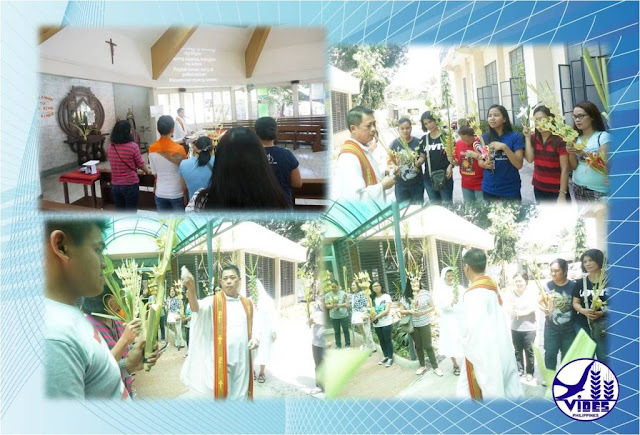 After the fruitful and touching session on self-discovery, Fr Ben led the blessing of the palms and celebrated the Holy Mass. Once again, he emphasized the gift of God's mercy and compassion. He discussed the importance of celebrating Palm Sunday and the significance of Jesus choosing to ride a donkey. Fr Ben explained that during Jesus' time a donkey was a symbol of peace. Those who rode upon the beast of labor proclaimed peaceful intentions. Saying that the Lord is a God of Peace, he urged the volunteers to follow the example of God. 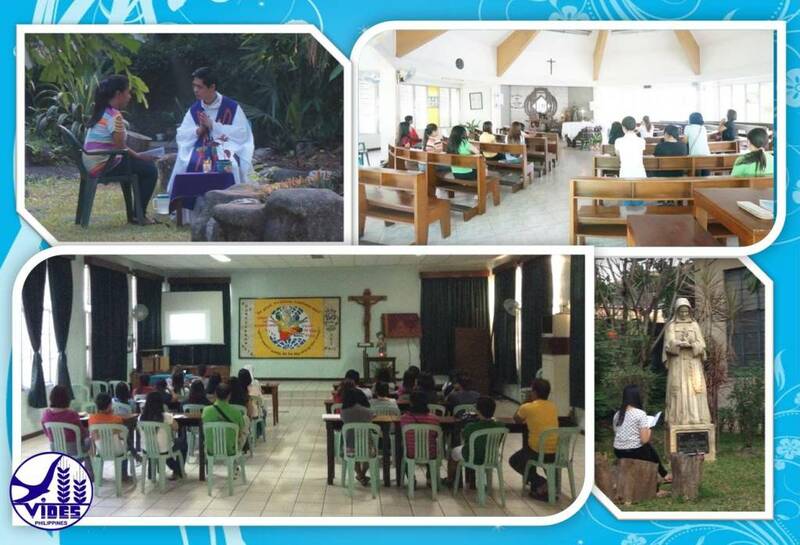 He reminded the retreatants to always put in mind and heart the Elements of God's Mercy. He urged the volunteers to give the gift of mercy to one another. After enjoying the hearty lunch and holding a short meeting on the activities lined up for the rest of the year, the volunteers thanked Sr. Sharon and the Handmaids of the Sacred Heart of Jesus community for welcoming them and attending to their needs for the past two days. The retreatants headed home with hearts filled with love, peace, and gladness, resolved to share to others the message and extraordinary experience of God's mercy, love, and compassion. 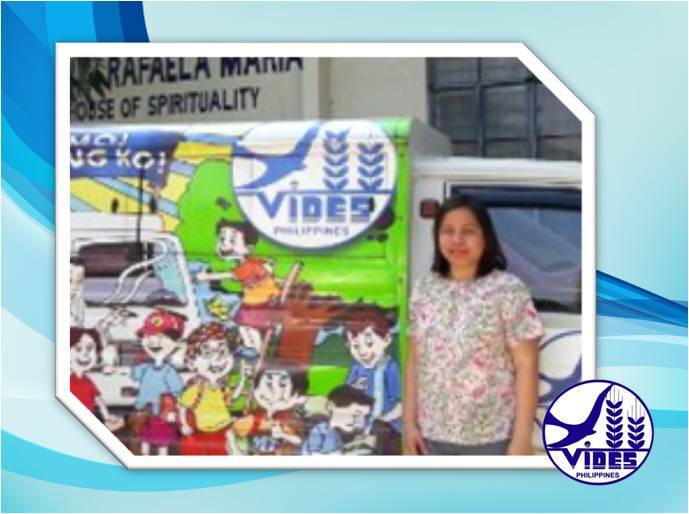 A truckload of thanks to Fr. 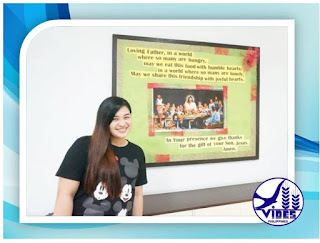 Ben, Sr. Sharon, Sr. Aline, and, of course, Sr. Jojo for letting the VIDES volunteers experience yet another meaningful opportunity to reflect, to recharge, and to reconnect with God. 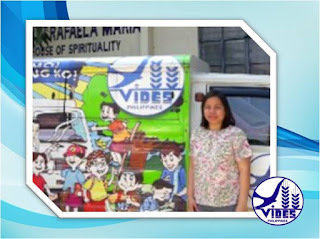 "I've never attended a retreat with the VIDES volunteers. I was expecting that the main topic of the retreat would be about solidarity with the poor. However, I was wrong. The topic was about mercy and it was exactly the kind of retreat I needed at the moment. I was reflecting and reflecting and reflecting as to what I really feel about forgiving. With Fr. Ben's help, I learned step-by-step how to really forgive. I think that I am at the stage where I am seeking to give mercy to the people who have hurt and still continue to hurt me. That feeling makes me feel lighter, even if I'm literally heavy (haha). As what Fr. Ben have mentioned to us, forgiving isn't really easy. It takes time to forgive like what I've experienced. It takes time to accept the things that hurt us. But when the time comes that you are asking God to help you forgive, it's one of the best feelings you could ever feel. God forgives no matter what we've done and so we must also do the same. "A new thing i learned from Father Ben is that the length of the retreat is not that important. Even if it lasts only for a day or a few hours, the most important thing is that you had time to reflect and talk to God. It would do us good to take time to talk to God anytime, anywhere, and anyhow. Pwede natin Siyang maramdaman sa ating araw-araw na pamumuhay."